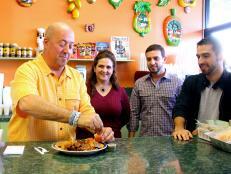 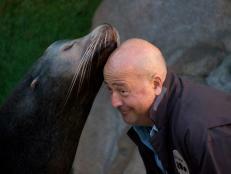 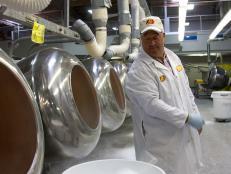 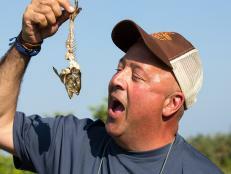 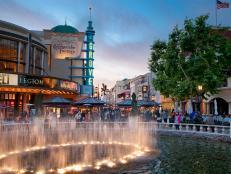 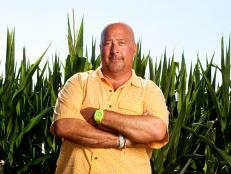 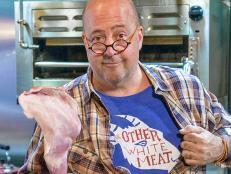 Go behind the scenes with Andrew Zimmern in Las Vegas for Bizarre Foods America. 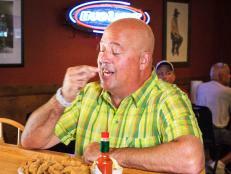 Andrew samples octopus, tries a $1,000 sundae and meets boxing legends Sugar Ray Leonard and George Foreman. 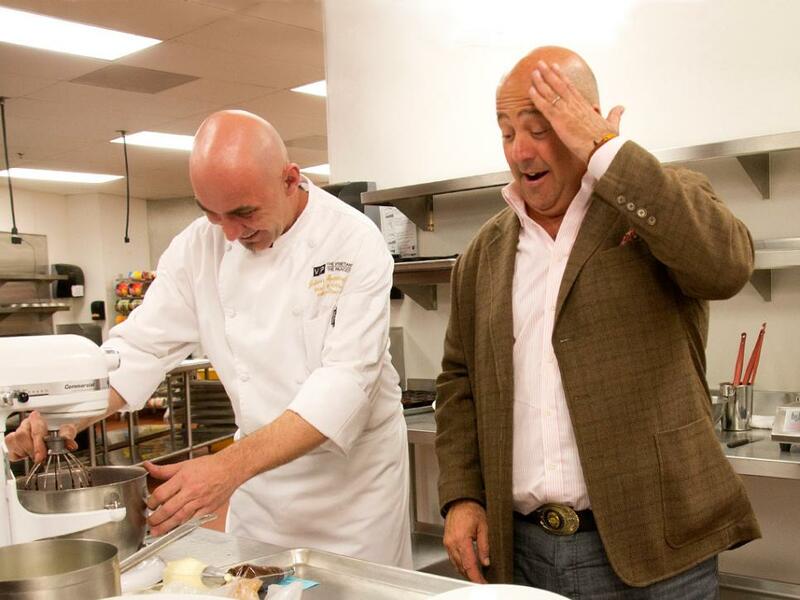 Andrew Zimmern watches assistant executive pastry chef Johann Springinsfeld make batter for a $750 Decadence D'Or cupcake at the Palazzo hotel. 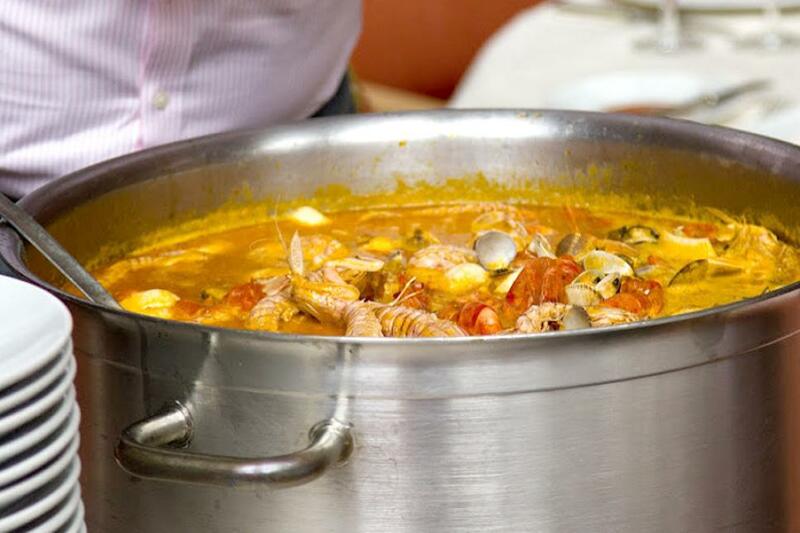 A close-up of fish soup made by chef Paul Bartolotta at his restaurant Bartolotta Ristorante in the Wynn. 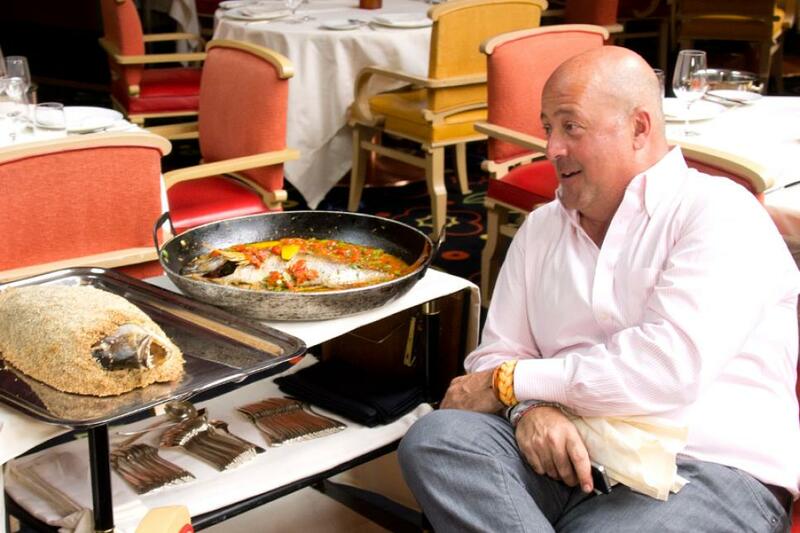 Andrew readies himself to taste chef Paul Bartolotta's encrusted imperial snapper at Bartolotta Ristorante at the Wynn. 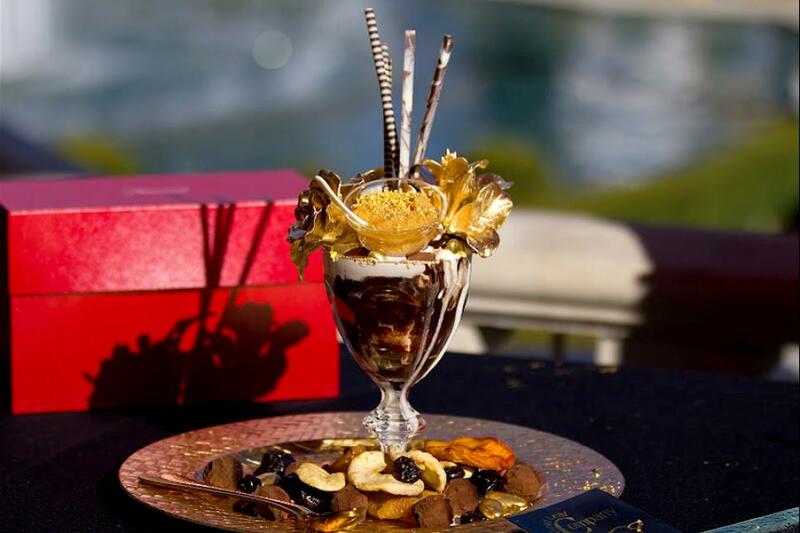 The $1,000 Golden Opulence Sundae from Serendipity 3 at Caesars Palace. 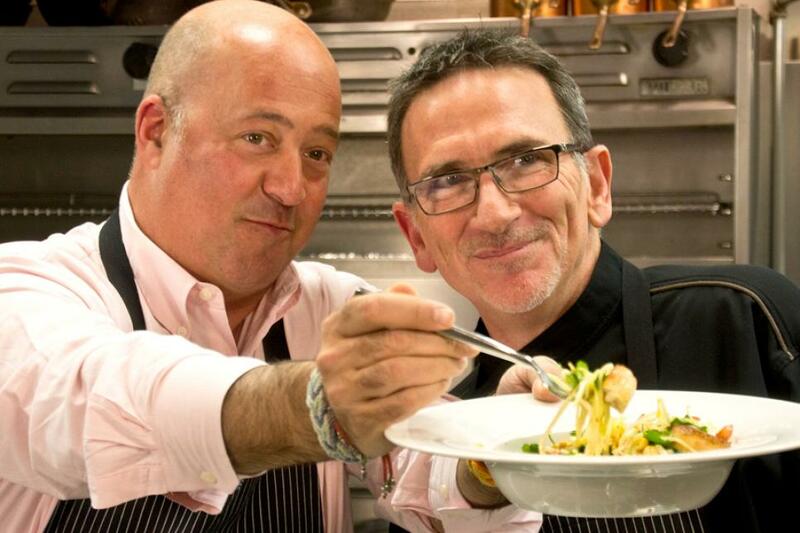 Andrew with chef Rick Moonen at RM Seafood at the Mandalay Bay. 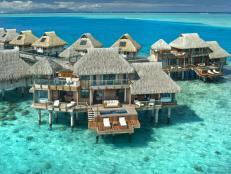 The two enjoyed eating a green papaya salad with diver-caught scallops. 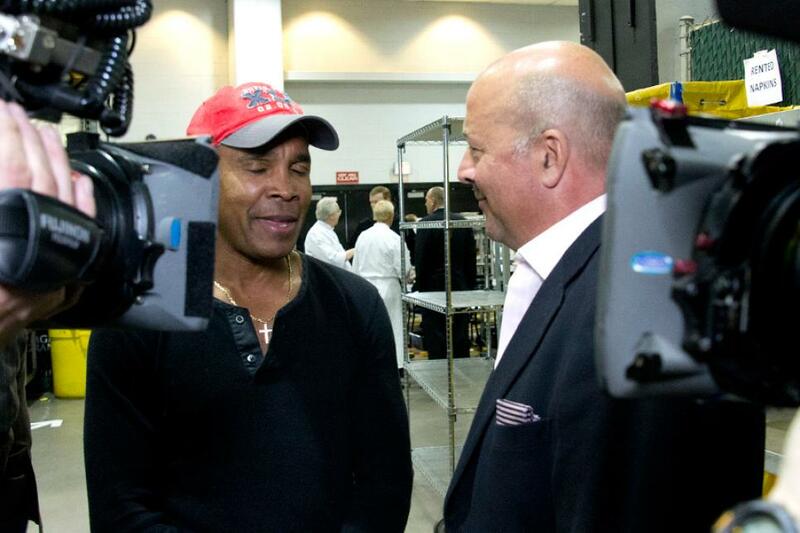 Andrew speaks with boxing legend Sugar Ray Leonard backstage at the MGM Grand Garden Arena just before Muhammad Ali's 70th birthday celebration. 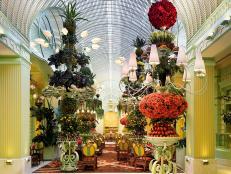 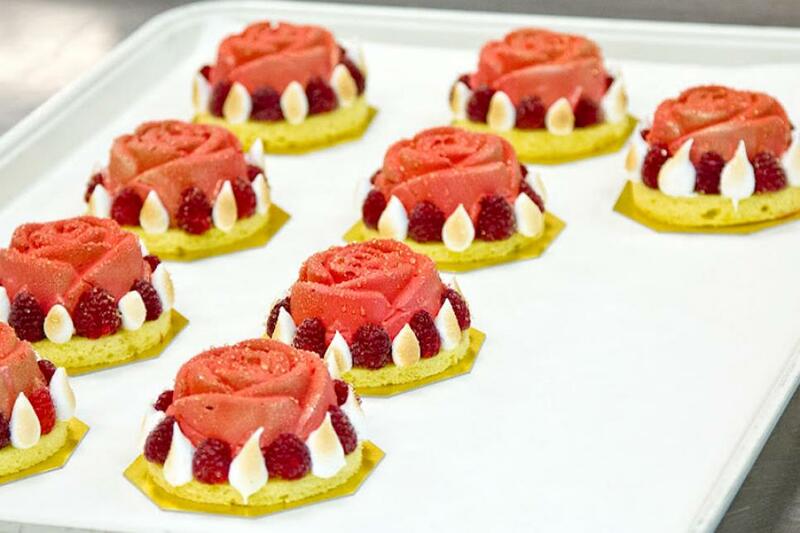 Strawberry mousse, in the shape of a rose, on top almond cake pastries in the kitchen of the Bellagio. 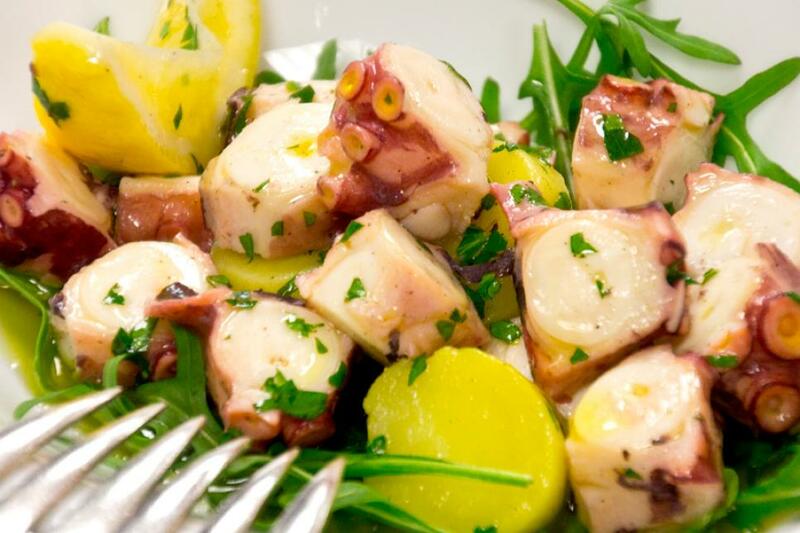 Octopus salad at Bartolotta Ristorante. 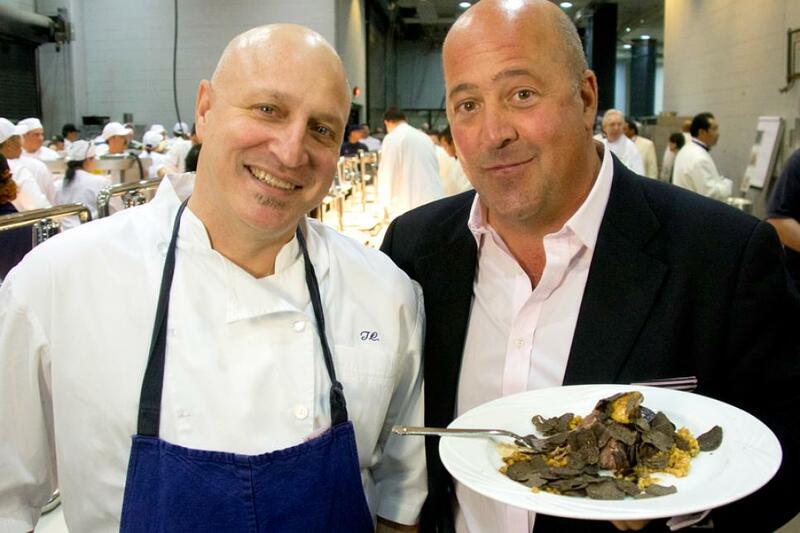 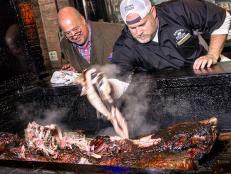 Andrew Zimmern with chef Tom Colicchio and Tom's braised short ribs covered in shaved black truffles. 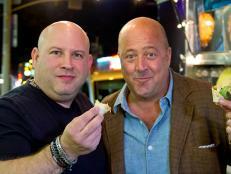 The 2 men are backstage at the MGM Grand Garden Arena for Muhammad Ali's 70th birthday celebration. 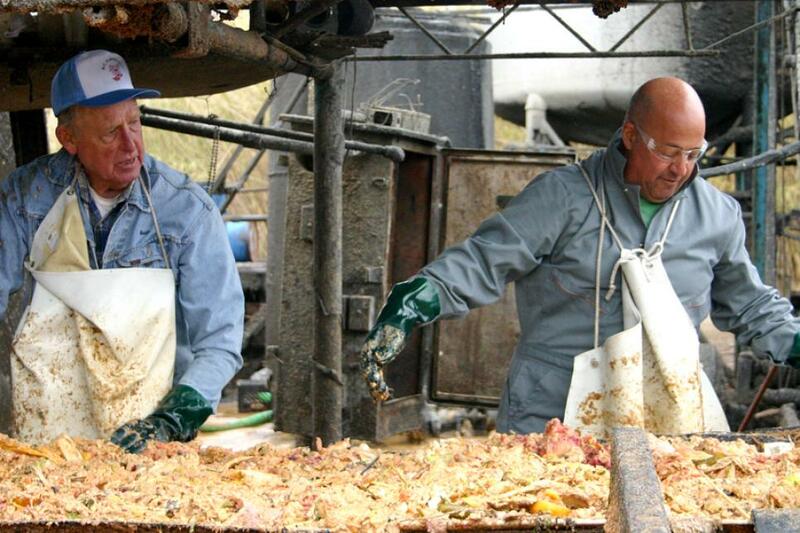 Andrew with Bob Combs, owner of RC Farms in Las Vegas where they are sorting garbage to feed Bob's pigs. 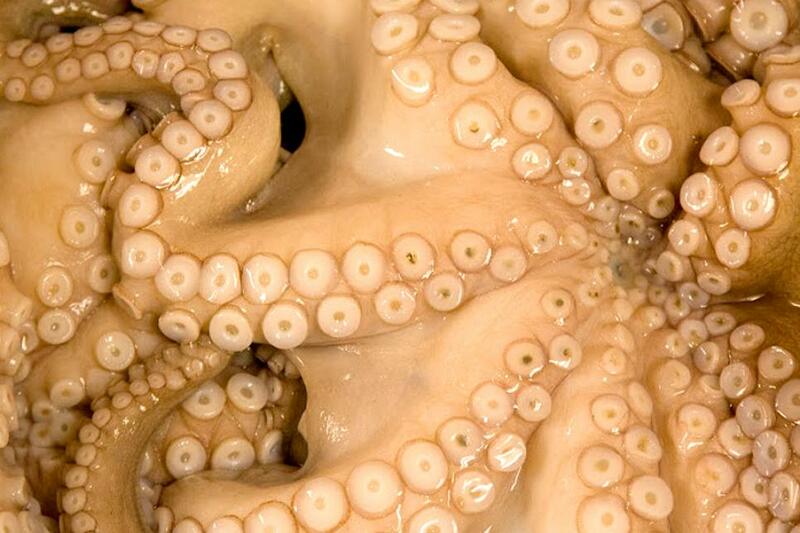 A close-up shot of octopus in the kitchen of chef Paul Bartolotta's Las Vegas restaurant at the Wynn. 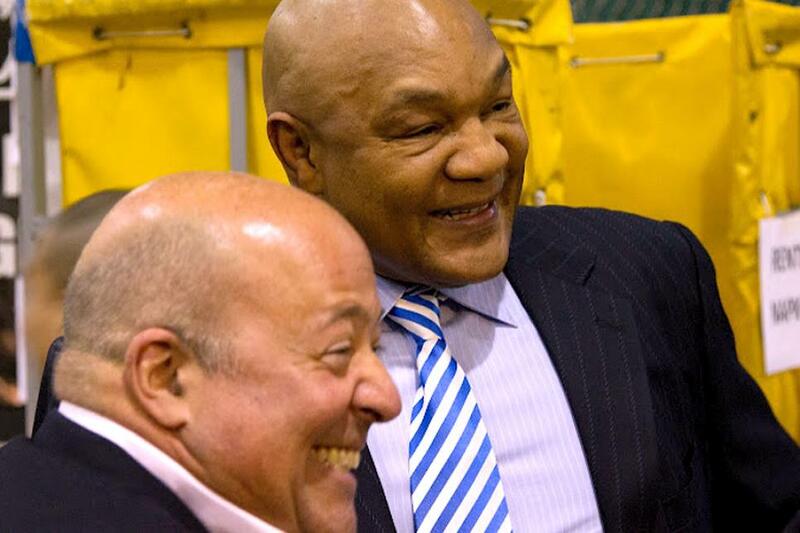 Andrew Zimmern talks with boxing great and culinarian George Foreman. 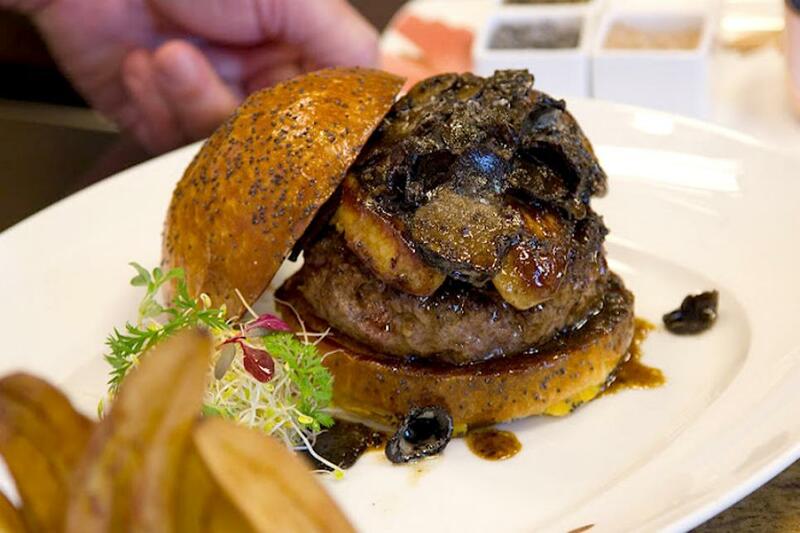 Chef Hubert Keller's FleurBurger, at Fleur in the Mandalay Bay, is hand-cut Kobe beef covered in foie gras and black truffles. 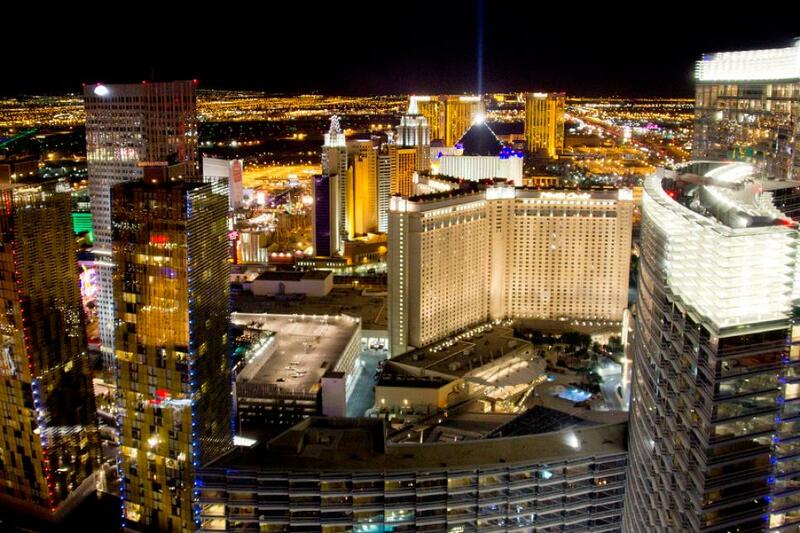 A beautiful shot of the Las Vegas skyline at night.